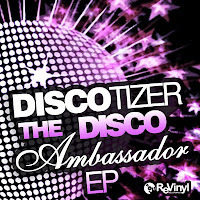 After an amazing feedback on my first single Baby (Got to have your love) i'm proud to present you now my first EP - The Disco Ambassador EP. Beautiful melodies, catchy hooks, nice piano chords and heavy strings - this is the sound of classic Disco music - have been served up now with serious House Beats preserving the magic of each original track. This EP brings back the sound that was around in 1979, 4 quality tracks that set a mark and stand out. Make sure you get this masterpiece first! Great DISCO classics with a house touch!!! You did a great work!! Congratulations! Great job! Visited Traxsource today & purchased it. 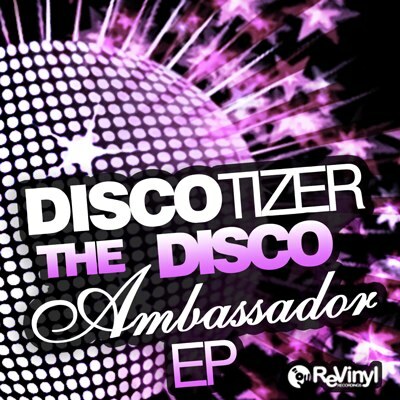 Go Discotizer! Thanks for all the great musical-mixes! AWESOME ! I really love your mix. THE FLAME is a masterpiece ! !I play it every night ,it s a real floorfiller . merci beaucoup !! I really love your mix.